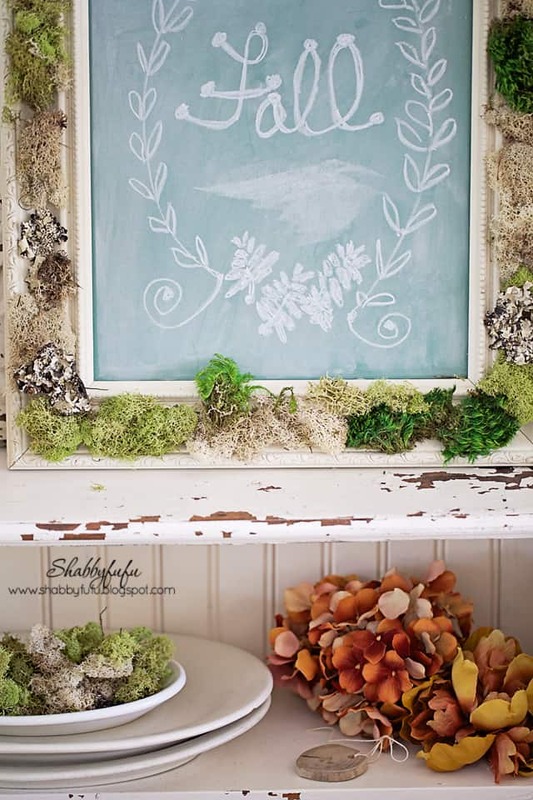 moss covered chalkboard, so I thought that I’d quickly share how easy it was to make! 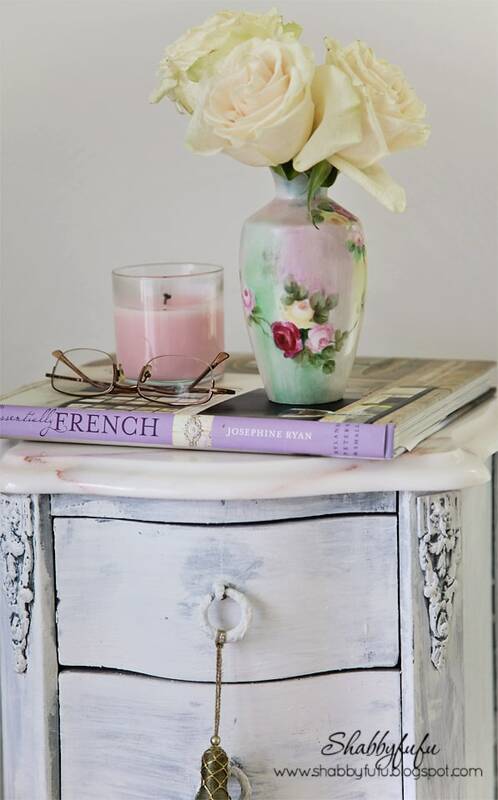 I had the vintage frame and at one point I had already painted it white. I cut a piece of MDF board to fit it and gave it a couple of coats of Rustoleum NCF Green Chalkboard Paint and that part was done. 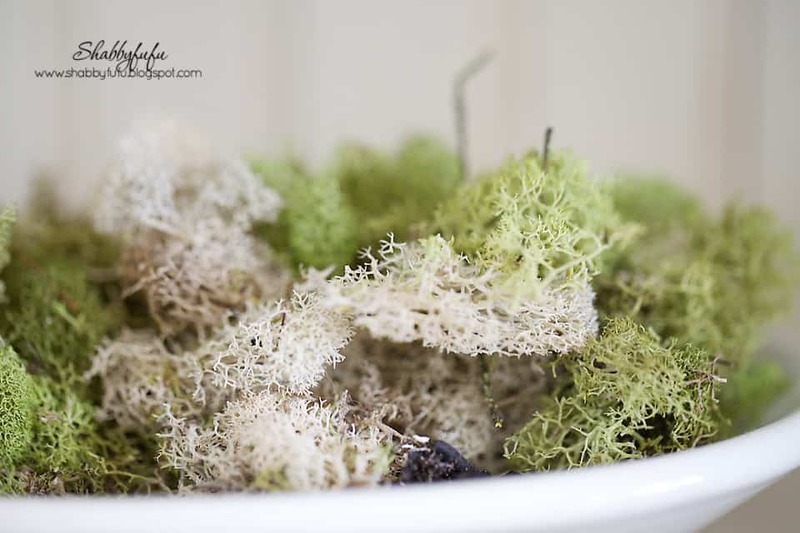 Since moss does not grow where I live, I was happy to find a bag of moss at HomeGoods last week (for just $3.95! )and just took the hot glue gun and glued away. 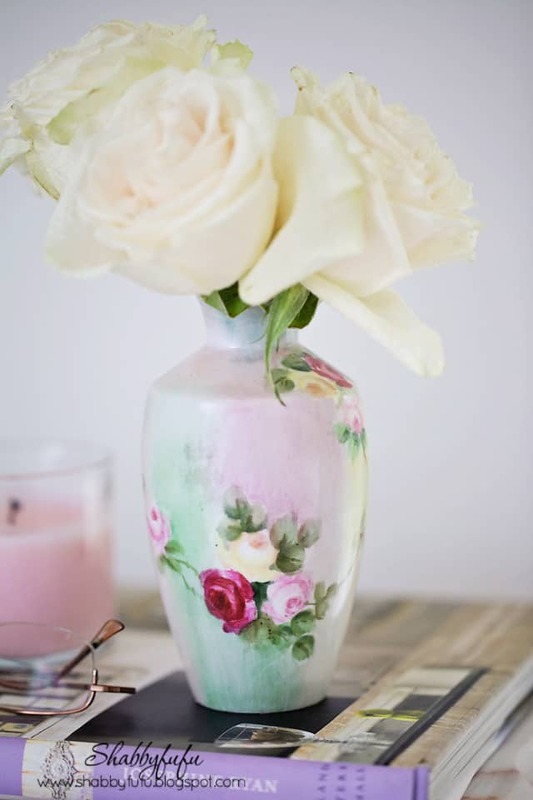 You can get as creative you want to with this project and take it to all levels. Randomness in the master bedroom. And a new chandelier that we just completed today in the Shabbyfufu Studio with an oil rubbed bronze finish. 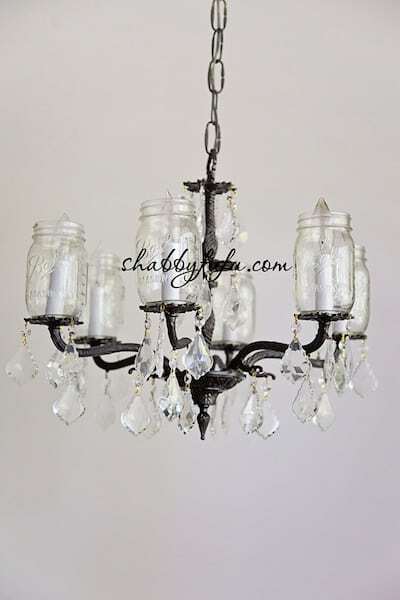 I’m really loving this one with the clear Mason jars and crystal pendants! Une très jolie publication… Original le lustre à pampilles ! 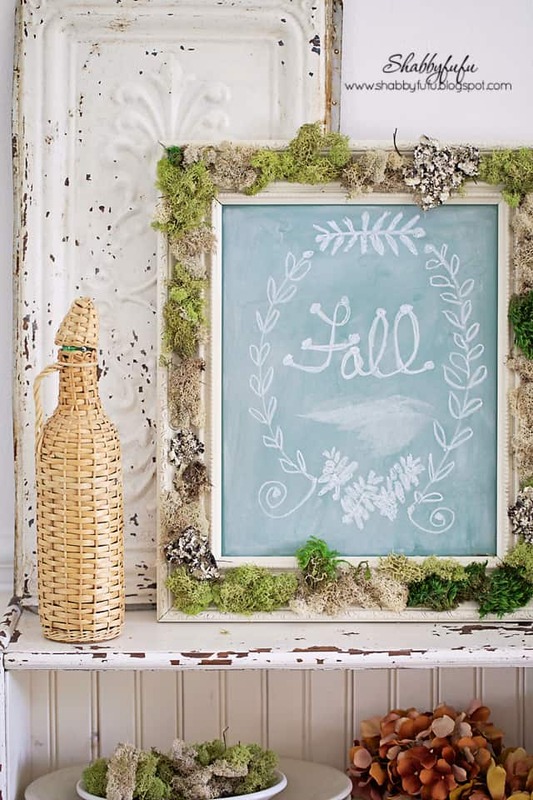 I am going to try the moss frame–I love it! Lovely frame. Thanks for sharing.